In the 4th article in our common steering problems series we talk about Steer Axle Wheel Shimmy, in previous articles we have talked about darting and wandering, nervous steering and steering wheel kickback. Steer Axle Wheel Shimmy is a common problem on older vehicles or vehicles which are setup with excessive front axle caster. The vehicle will experience ongoing oscillations in the steer axle, the axle will move back and forth often causing vibrations in the steering wheel which will slowly subside, the steering wheel may also take longer to return to center. This problem has two main causes, worn steering linkages and excessive front axle caster. Worn Steering linkages – Steer Axle Wheel Shimmy. Worn steering linkages allow the steering system to bounce from one side of the clearance in the worn track rods, drag links, pitman arm and steering gear to the other with relative freedom. 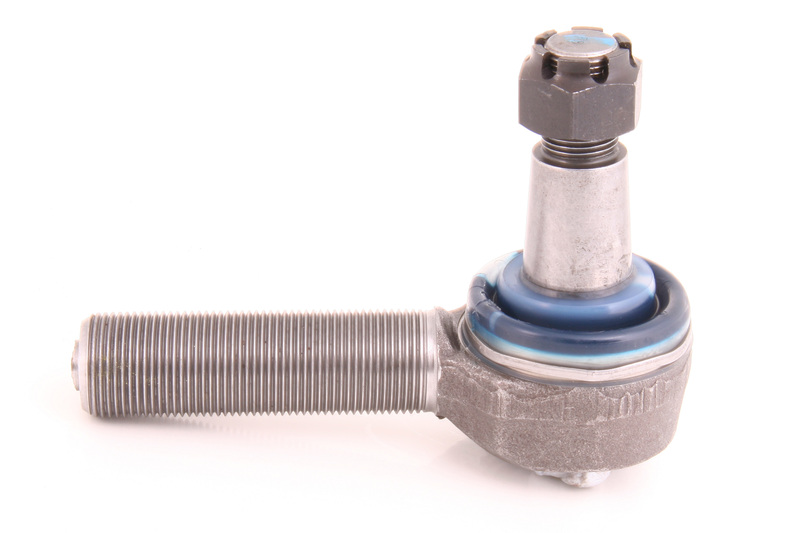 This allows the steer axle to oscillate back and forwards after it hits a bump in the road. It also makes the vehicle harder to steer and give a driver the sensation of having to chase or constantly make adjustments to keep the vehicle on the road. Steer wheel shimmy can be caused by excessive wheel caster. Excessive front axle caster can also cause steer axle wheel shimmy. 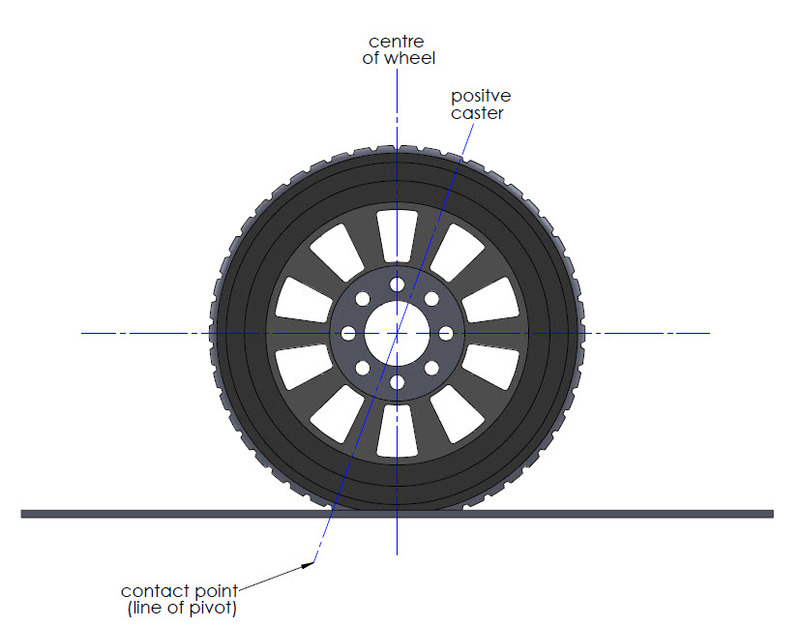 The caster angle on the vehicle, sets the distance between the turn axle line of pivot and the tire-road contact point / centre of wheel. Think of a shopping trolley the wheel pivot axle is ahead of the point which wheel contacts the ground, this is positive caster. This is important to encourage the steer wheels to return to center, just like shopping trollies. Roads are designed with a slight slope for drainage purposes, a vehicles caster setting helps keep the vehicle from wandering down the slope without input from the driver. However excessive caster angle can cause front axle wheel shimmy. Basically the force developed by a positive caster angle which pulls the wheel back to its center position becomes so large that the wheel races past its center point oscillating (Shimmying) back and forth like a pendulum. Once again a great example is the wobble in a shopping trolley wheel, typically when you push the trolley the wheel wobbles around a lot, not a big problem for a shopping trolley but a big problem for a heavy vehicle.